How do I get to Dürer Kert? Public transport: to get to Zichy Géza bus station, take trolleybus nr. 74 or 75 or nightbus nr. 979. Have a look at our map at the Contacts. I'm under 16. Am I allowed into Dürer Kert? According to our House Rules, events organised by the Dürer Ltd. and on the teritory of Dürer Kert can be attended by people under 16 only with an adult attendant. See our House Rules. Is there a special door policy or dress code? ·who are trying to bring in a gun or weapon. Entry - just as in any other club in Budapest - is carried out with special safety measures. This could mean that the queue in front of the entrance is longer than usual: but please keep in mind that this is all for your safety and comfort. See our House Rules. How can I speed up the entry? 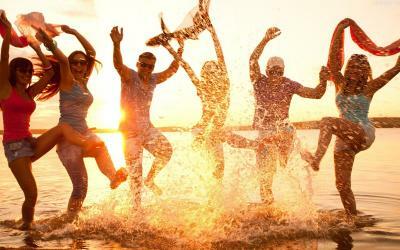 It’s a good idea to prepare in advance your bag, your ID or other official document if you look forever young. If the ticket office is here as well, prepare your ticket bought in advance, make sure that the bar code is easily readable. Can I use to the bar service, if I’m under 18? People under 18 are not allowed to buy alcohol and tobacco. The staff can ask for your ID. Am I allowed to smoke at the Dürer Kert? From the 1st of January 2012 the law of the protection of nonsmokers (1999. XLII.) is in order. According to this, IT IS FORBIDDEN TO SMOKE indoors. Our guests are allowed to smoke at the garden of Dürer Kert. Yes, you can find it between the Kisterem and Room041. The fee is 200HUF per piece. We can’t take financial responsibility for the objects left in your coats and bags. Please leave every item bigger than 30x40cm in our cloakroom. Use the image on the wall of the cloakroom to check the size. I arrived with a bike, where can I lock it? Dürer Kert is bike-friendly, you'll find a bike shed at the end of the garden. I lost my phone/watch/shoe etc. What should I do? We can't take financial responsibility for objects lost on our teritory. However, you can ask about lost and found objects at our office or bartenders. See the Contacts. I don’t feel well, who can I turn to? On our huge events there are helpers in your service if you want to rest or you don’t feel well. If they are not present, turn immediately to any of our staff members. 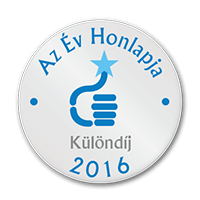 During Goa events look for the members of the Phsyhelp and the Tiszta Jövőért Association. Can I use the internet? What's the wifi password? We offer wifi access to our guest throughout the venue. There’s no password, use it freely, take pictures, share them on Instagram and Facebook! I’d like to play something! Can I ask for a table tennis racket? We love table tennis! If you don’t have a racket, ask our bartenders, they will lend you table tennis equipment for a 1000HUF deposit. I'm cold in the garden, it's chilly! If you feel cold in the garden, just ask for a blanket! You can get them from our bartenders in exchange for a deposit of 1000HUF. I'd like to play foosball! Is it possible? We love foosball! Our foosball tables work with 100HUF coins. Dürer Kert is dog friendly as well! Of course you can't enter indoor events with them, but they can sit near your table in the garden. I'm an event organiser and I'd like to hire a venue. Sure, go to the Organisers.